With over two decades of experience as the founder of destination management leader Khiri Travel, Willem advises GROUND on issues of strategy and sustainability. From the beginning, Willem was committed to growing his business in a sustainable manner using responsible travel practices at the core of product development and operations. He strongly advocates that sustainability is no longer a luxury but an imperative in order to leave a world that is livable for our children. Willem is married and has two daughters. He speaks Dutch, English and Thai. After completing Commerce and Psychology Degrees at Monash University in Melbourne, Australia, Lachlan set off on his own global expedition. Travelling, working and volunteering in South America & South East Asia, ski instructing in Austria and social work in London reaffirmed his passion for education and travel. This inspired a return to Australia in 2002 to found the Asia-Pacific arm of World Challenge, one of the world’s largest educational and experiential travel organisations for high school students. Over the past 14 years, Lachlan has been at the forefront of youth development in Australia and New Zealand owning, operating and developing Australia and New Zealand’s largest student travel organisations. He is currently CEO of Antipodeans and in 2015 launched Unearthed Travel in California, USA. These organisations are focused on developing leadership, resilience and mindfulness in young people sending thousands of students every year around the world on life changing adventures. 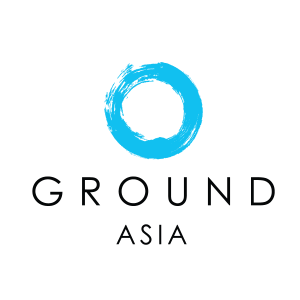 He is very excited to be part of the GROUND Advisory Board. Mark grew up in Valparaiso, Indiana, just one hour east of Chicago, USA. He attended MIT in Cambridge, Massachusetts where he earned his Bachelor of Science degree in Engineering. Mark later went on to earn his MBA in Finance at the Wharton School, University of Pennsylvania, in Philadelphia. Dan has over a decade of experience working in personal development and student travel heading up the sales & marketing teams for Australia and New Zealand’s largest student travel companies. His time on expeditions in places such as Vietnam, Cambodia, Borneo and Costa Rica has seen him experience first hand the amazing impact these kinds of trips have on young people. Hugely passionate about leadership development, Dan loves engaging young people to take the road less travelled… his motto is ‘just go!’. He is very excited to part of the GROUND Advisory Board. James Reinnoldt first visited Cambodia in 1988 when he was Regional Managing Director for a major U.S. airline. James has over twenty-five years of experience in the consulting, education and aviation industries. James is the Managing Director of Axess Asia Pte. Ltd, a Bangkok-based aviation and marketing consultancy where he specializes in airline and hospitality marketing strategy, distribution cost management, market research and revenue management programs. Professionally James has over 25 years’ experience in the corporate, public and consulting sectors in Asia where he has lived and worked in more than 20 countries. As both an executive and consultant, James has worked for Singapore Airlines, Northwest Airlines, Walt Disney Attractions, Qantas Airways, The United Nations (WHO), The Boston Consulting Group, Family Health International, The International Air Transport Association (IATA), and Boeing Commercial Aircraft. In addition to his executive and consulting capacities, James has been an instructor in International Marketing and Aviation Marketing (MBA) at Assumption University (ABAC) in Bangkok, and at The University of Victoria (B.C.) as part of its MBA program. He has taught International Marketing and Global Business (MBA and Senior Capstone) at University of Washington Bothell since 2001 and has taught at University of Washington Seattle as part of the Boeing-AIMs program faculty since 2004. He has also directed UW Exploration Seminars to Thailand, Vietnam and Cambodia since 2007. James received his BA (International Relations) and CBA from Creighton University in 1979 and an MBA degree (International Business) from The American Graduate School of International Management (Thunderbird) in 1981. Born in the USA of Vietnamese parentage, Dr. Natalie Pham is a highly qualified, experienced and passionate educator, businesswoman and philanthropist. With a PhD in Education from Capella University, Dr. Pham has dedicated her life to improving the lives of others. Initially based in North America, she now splits her time between her home in Vietnam and the USA. Natalie serves as an education consultant for 17 international, private and public schools. She is an advisor at consulting firm Ma Nguyen and Partners, is assisting in conveying business opportunities on large scale infrastructure projects in the Middle East, and is Central Manager of AMA Foundation. She also dedicates much of her spare time to her own philanthropic initiatives. Dr. Pham’s unique experience had been garnered from various continents but one of her specialties is working in education in emerging countries, where she advances broader educational opportunities for underprivileged students. Natalie’s drive and dedication has been a key factor in Lawrence S. Ting School (Dinh Thien Ly High School) becoming one of the leading high schools and Vietnam’s only Microsoft Innovative Pathfinder School, which is a network of innovative and prestigious schools around the world that share management experiences and integrate high technology into their curriculum.